Lit Expressions is a show where we can have discussions on various topics worldwide which include but are not limited to healing, spirituality, conspiracy theory, science, aliens, relationships, 5D consciousness and beyond. We love bringing knowledge, healing, and a deeper understanding to all of our listeners. 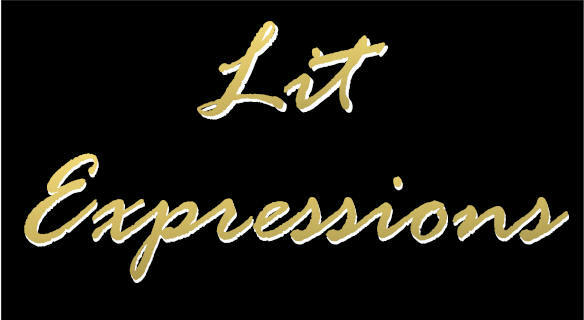 Lit Expressions is a broadcast and a community of like-minded people who are eager to learn, grow, expand, and become their best and most authentic selves. Our show airs every Monday at 8 pm PST and 11 pm EST. Be sure to tune-in live to ask questions or simply have a discussion. Your host is Kristen Belisle, an interplanetary liaison, wayshower, multi-dimensional healer, and, channel, working with the spiritual hierarchy and galactic councils. Her purpose is to anchor soul evolution into the consciousness of the collective and lead as spiritual guide and mentor for the betterment of humanity and all living things. You can find more information on Kristen at www.kristenbelisle.com She also runs a spiritually based clothing brand that you can check out here The Peachy Soul Boutique. Join us to discuss crystal consciousness with the amazing Amy Robeson. You can grab your free intuitive crystal guide here! We discuss gene keys, human design and the science behind your design. Joining us is human design and gene key guru Ashley Pfeffer! Ashley has an amazing way discussing the gene keys and human design in ways that are tangible easy to digest. Link for extra resources to find and support your design! Join our discussion of self empowerment. Tahsha is an empowerment coach, psychic, healer, and author of Be The Hero Of Your Own Story. Join us as we discuss the mind, body, and soul. Joining us is master teacher, and body alchemist Ondrea Lynn. We'll be diving into the mind, body, and soul connection and how these key components play deeper roles into our spiritual connection and accession. Jennifer Church is a master teacher, metaphysical mender, and truth titan. Join us as we discuss the paradigm shift with the one and only amazing Stasia Bliss, who dives into the paradigm shift that we are currently experiencing, the reframing of family, relationships and the mechanics of the body. Stasia Bliss is a speaker, author, empowerment and embodiment expert. A discussion on relationship goals, personal development, and spirituality.